Todays post is a little bit different from my normal happy positive posts. As most of you will know I suffer from anxiety and have done so all my life. I have discussed this on my YouTube channel and will link a playlist here where you can watch all three videos. Since my last bad patch with anxiety I haven't had many bad days.... Until this week. It's common knowledge that alcohol is a depressant and causes "The Fear" for many of us. For someone who suffers with generalised anxiety this feeling of fear is amplified to the max the day after I have been drinking. It doesn't necessarily mean I have been out drinking from one end of the day to the other, it could be a casual few drinks and I still feel severely anxious the following day. This anxiousness doesn't come from totally blacking out the night before, or thinking I have done something terribly wrong, it is brought on by my over active mind, and leads me to feel paranoid & vulnerable and more often then not leads to a panic attack. 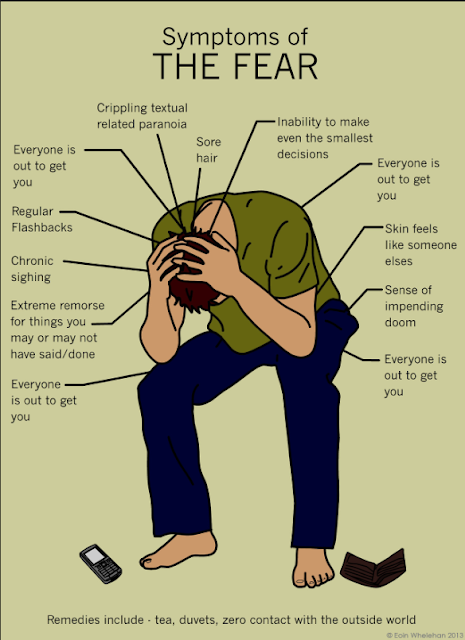 In the last year, as i've become more aware of my disorder and educated myself on anxiety, i've begun to realise what is actually happening to me when I have "The Fear". For me, "The Fear" starts the same way as it does for everyone else, general hangover, tiredness and worrying about what I may have done the previous night. It soon escalates to far more irrational and dark thoughts, for example my slight headache transforms into a potentially life threatening brain tumour within the space of about three minutes!!! As silly as that might sound, it's the only way I can put into words just how ridiculous my thoughts are when i'm feeling like this. I start to genuinely believe what i'm thinking and I end up jumping from one ridiculous thought to the next without even realising it. Before I know it, i'm so wrapped up in these thoughts, i'm 5 minutes into a full blown panic attack. This is usually around the time when I stop everything and look to Chris for help. He has a great way of talking me down and making me understand just what it is I am going through. The most important thing for me to pull myself out of these panic attacks is to talk it out, take deep breathes and focus on living in the moment (not in my head). This is easier said than done, but it takes practice. I try to practice mindfulness as much as I can and meditate a lot when I am feeling overwhelmed. There is a particular sleep meditation I like to listen to when I am finding it hard to fall asleep. I will link it here. It sounds a bit cringey at the start but the more you listen to it and focus, the easier it becomes. Talking to Chris really helps to make me see sense and the reassurance from him, and others makes me feel that what i'm going through is all in my head. 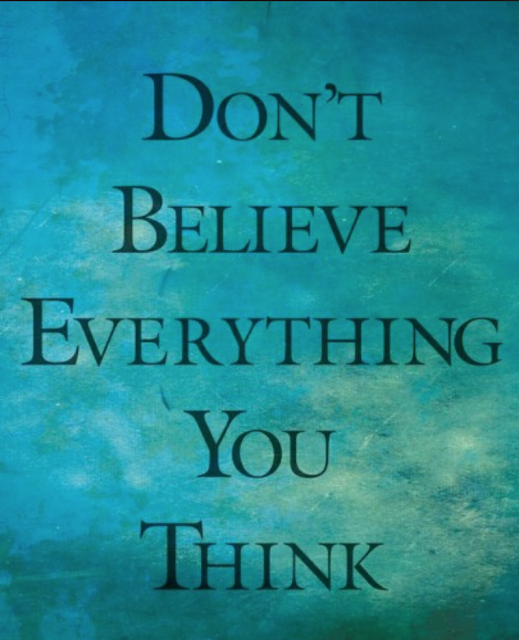 The mind is so powerful and can make you believe and even feel that what's going on in your head is true. I have learnt that I am focusing on the negative thoughts in my mind, some of which are completely fabricated and untrue, rather than living in the present moment. 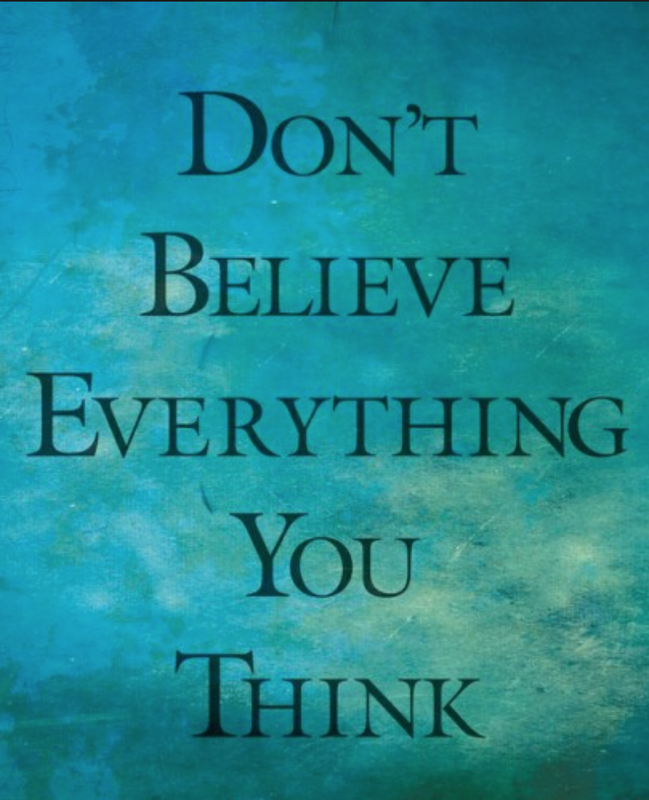 Chris always reminds me that "You are not your thoughts & your thoughts are not you!". I now know that it's normal to feel this way but because i'm an anxious person, the feeling of "The Fear" is amplified. So now I know that I need to prepare myself for these days. If I know i'm going out for drinks i'll remind myself how bad it feels the next day and be more responsible. It's not that I ever get so drunk that I cant remember, its that my mind wanders and makes me believe I have done and said more than I actually have. I have now come to terms with the fact that this is who I am and that's ok. Its normal to feel this way and I just need to make sure I am not judging myself because of it. I hope some of you can relate to this and maybe it can help you realise what you are feeling may be anxiety brought on my alcohol.